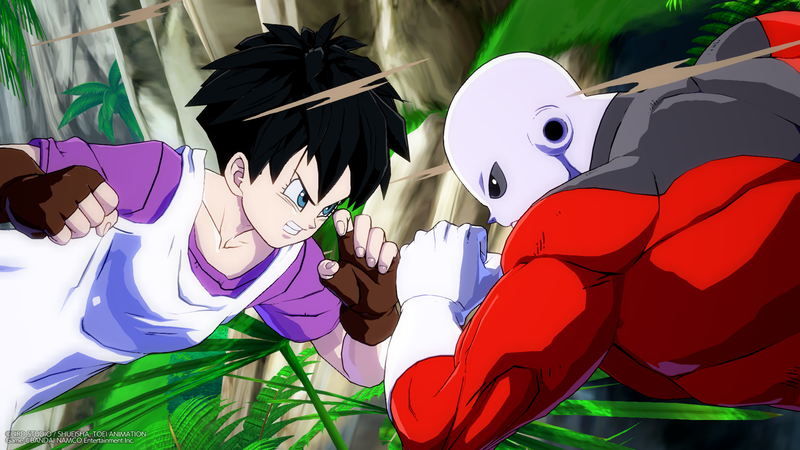 Late last month, Dragon Ball FighterZ received its first new characters since September 2018: fan favorites Videl and Jiren (CORRECTION 10:09 am ET: This story originally misstated the release date of the previous DLC). Since the two newcomers joined the playable roster, the fighting game community has inundated social media with initial impressions, and while it’s still early, the players who spoke with Kotaku say they see a good deal of potential in these fighters. If you don’t happen to be a Dragon Ball fanatic, here’s what you need to know: Videl and Jiren couldn’t be any more different from one another in the source material. The former is the daughter of phony martial arts expert Hercule (known as Mr. Satan in the original Japanese) and the eventual wife of series protagonist Gohan. The latter is the enormously powerful endgame antagonist of Dragon Ball Super. While Videl, who is a regular human being, shows impressive fighting potential in a series full of extraterrestrial threats, Jiren is one of the strongest characters in the Dragon Ball universe. It took the combined efforts of Goku, Vegeta, Frieza, and Android 17 to defeat him. These power levels as represented in the source material mean relatively little when it comes to a fighting game like Dragon Ball FighterZ, since the game seeks to balance the cast rather than accurately portray how strong they are in the anime and manga series. Several competitors immediately took to these new characters and began to choose one or the other in Dragon Ball FighterZ tournaments. One such player was Christopher “True_Tech” Jones, who took a days-old team built around Videl to Winter Showdown in Westminster, Colorado last weekend and managed to make the finals. As one of the best players in the region, it wasn’t surprising to see him do well, but his decision to use a character that had only just been added to the game was a gutsy one. Jones said that he knew he would use Videl from the first time she was revealed due to her “fast, tricky” style, which hews close to characters he’s used in other fighting games. Once he finally got his hands on her, Jones found that she felt “super complete” in that she has a multitude of traits that players look for in Dragon Ball FighterZ characters, such as strong mixup tools and a complementary super. 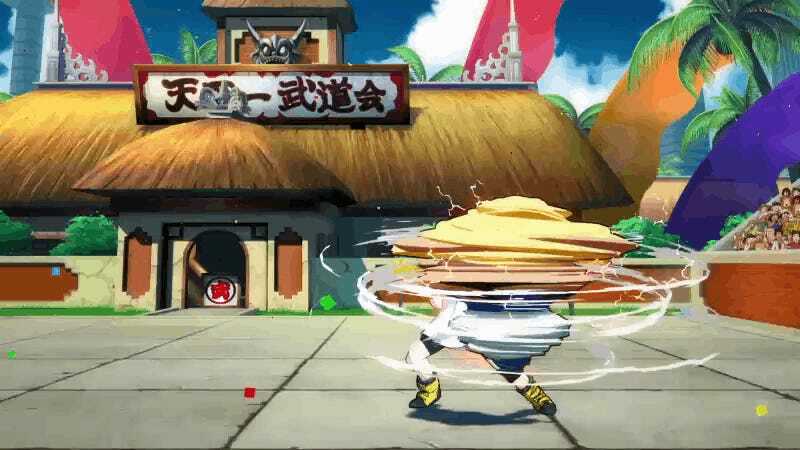 Unlike other cast members, however, Videl doesn’t have access to the game’s Z Reflect—a defensive technique that blocks attacks, reduces recovery time, and pushes the opponent away. Instead, she makes use of a unique dodge that allows her to get out of harms away and counter-attack. Jones also, without prompting, told Kotaku that Videl’s alternate costume with pigtails is superior to her short-hair default, but that’s a discussion for another day. Due to her status as a regular human in the anime and manga series, Videl doesn’t come equipped with the energy blasts most characters have in Dragon Ball FighterZ. Instead, the button that would normally be used to shoot these projectiles calls out Great Saiyaman, the superhero alter-ego of her friend and future spouse Gohan. These attacks function as pseudo-assists, with Great Saiyaman performing a variety of moves depending on which direction is held on the joystick and greatly improving Videl’s already potent offensive pressure. Still, Jiren is no slouch. Meka said that he can see the grey alien being a “major problem” due to his high damage. Jiren’s moveset includes a special counter that sees him immediately grab any character unfortunate enough to launch a projectile at him while it’s active. This is especially potent against characters like Captain Ginyu and Piccolo, whose fireballs remain on screen for a long time. But without a quick, low-hitting light attack, Jiren suffers in a game that relies heavily on the ability to put opponents in mixup situations. Much like in the source material, Videl and Jiren have a ton of differences in Dragon Ball FighterZ. Videl, with her Great Saiyaman assists and dodge, is capable of both pressuring opponents into making a mistake and countering errant attacks that other characters can’t. Jiren, on the other hand, excels in the neutral game, controlling the battlefield and easily killing off characters once he’s managed to ensnare them with his counters. Where they land on high-level teams really depends on what individual players are looking for out of a new character. Everyone who spoke with Kotaku was clear that it’s still early days for these fighters, but for his part, Meka doesn’t believe Videl and Jiren will be going away any time soon. “With the changes to the game’s overall system in season two, I expect to see both of these characters faring very well in high-level competition,” Meka concluded.